ASUS announced its 2017 ROG (Republic of Gamers) lineup. 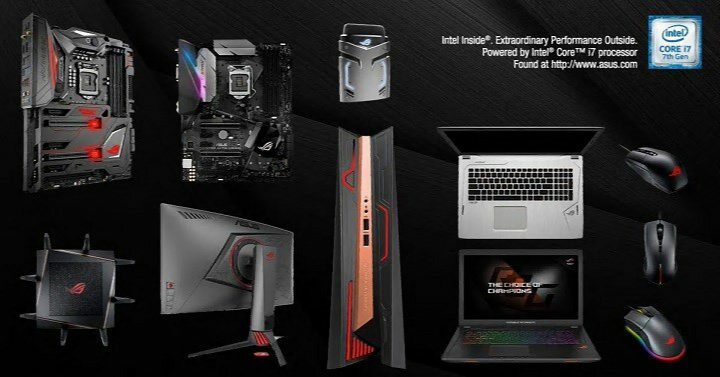 The latest Asus ROG lineup includes a new router, laptops, motherboards and PCs with Intel 7th Generation Core (‘Kaby Lake’) processors. Asus ROG 2017 gaming laptop includes the GX800VH, G701, G752, GL502, GL702, GL553, and GL753. ROG desktop gaming PCs are GT51CH, GD30, G20CI and GR8 II. Also on display are the latest ROG Maximus IX and ROG Strix motherboards and an extensive collection of gaming peripherals, including the ROG Strix Magnus gaming microphone, ROG Gladius II gaming mouse, ROG Strix Evolve gaming mouse, ROG Strix Impact gaming mouse, and ASUS GX970 gaming mouse. Find the full list of products they are announcing today below. 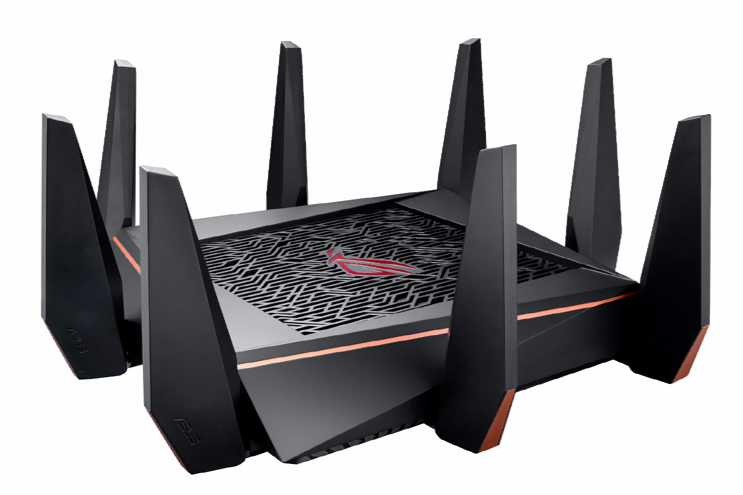 ROG Rapture GT-AC5300 is the first ROG router designed specifically for gaming, featuring tri-band Wi?Fi, eight-port gigabit-LAN, and its own powerful PC-grade, 1.8GHz quad-core CPU to enable incredibly fast and responsive network gaming. GT-AC5300 also includes two ultra-fast USB 3.0 ports.